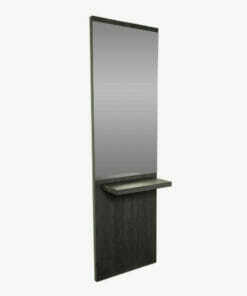 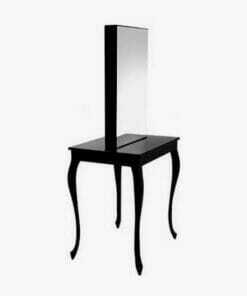 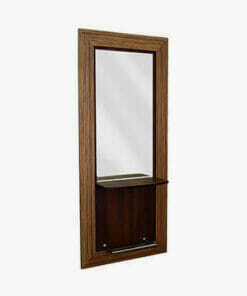 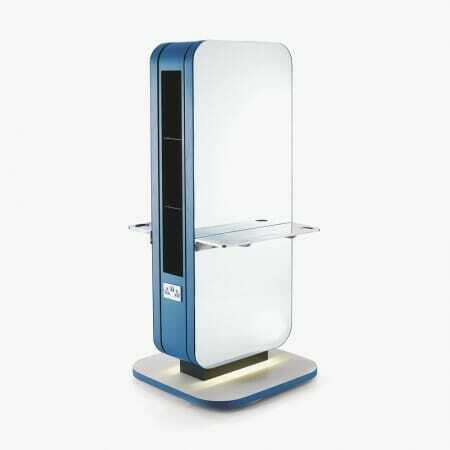 Salon mirrors, otherwise known as salon styling units, are an essential component of salon furniture in an effective salon design. 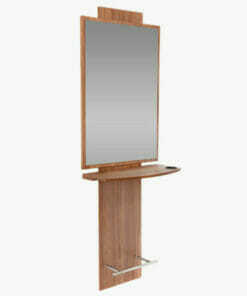 Well chosen styling units can be a space efficient solution to make the most of the available room in your salon. 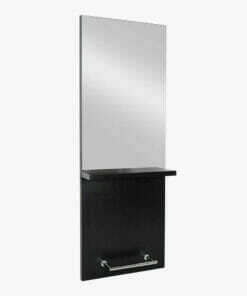 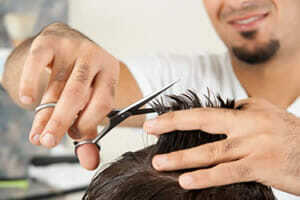 While some salons opt for a plain, open plan design with a wall length mirror and shared counter space for salon equipment, there are some obvious disadvantages to this approach. 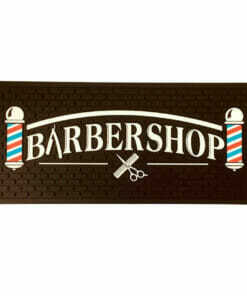 Barbers equipment mat with barbershop logo, barbers pole, scissor and comb detail. 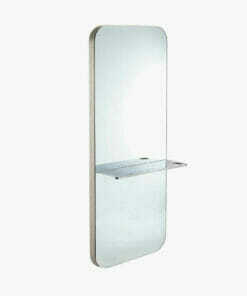 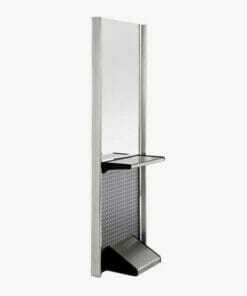 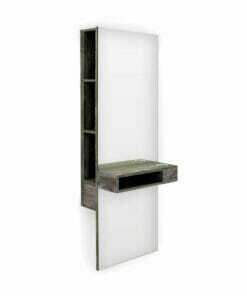 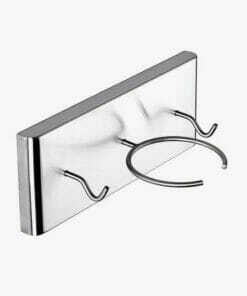 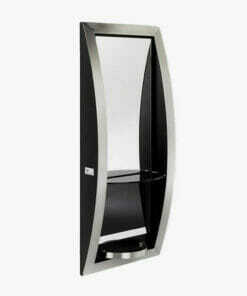 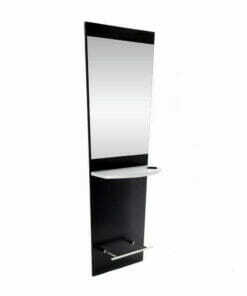 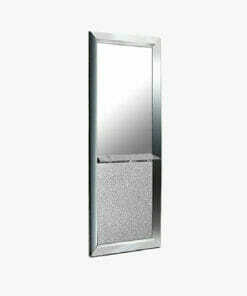 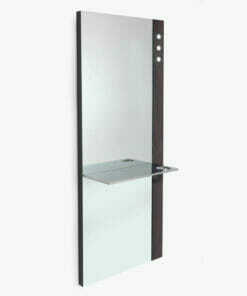 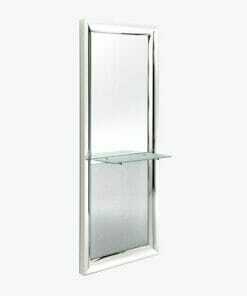 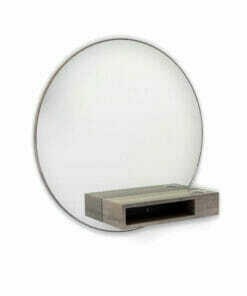 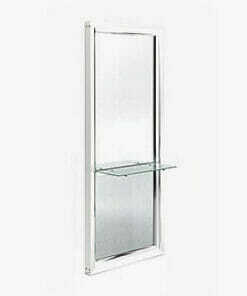 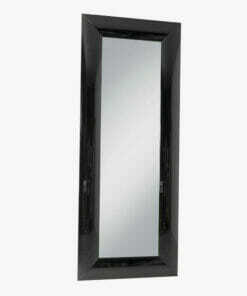 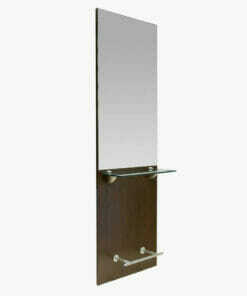 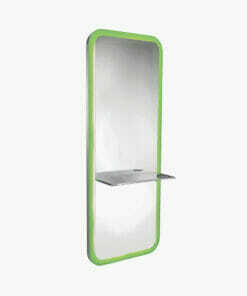 A practical yet stylish full length mirror unit with feature lighting and a cast metal shelf with dryer holster. 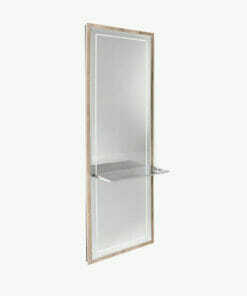 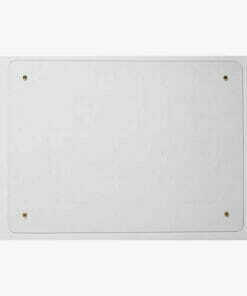 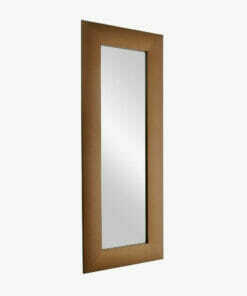 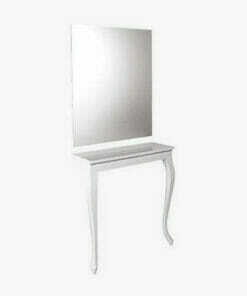 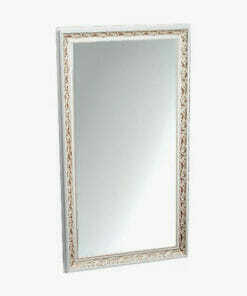 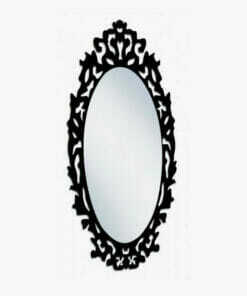 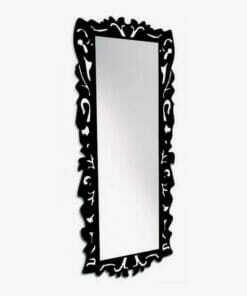 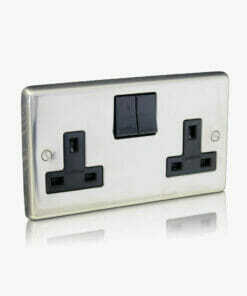 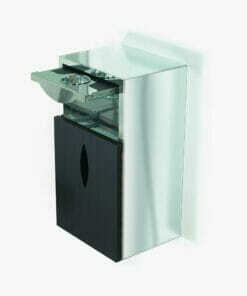 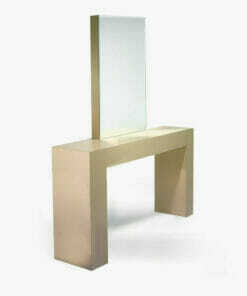 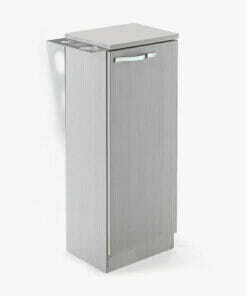 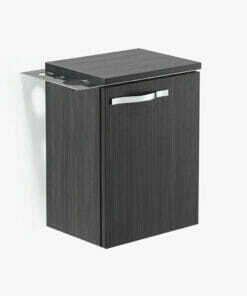 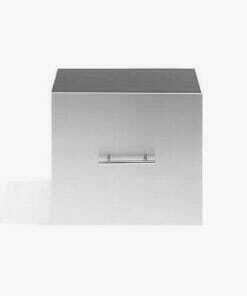 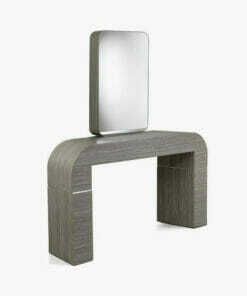 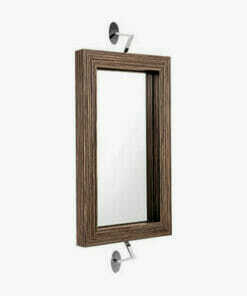 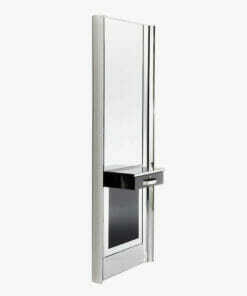 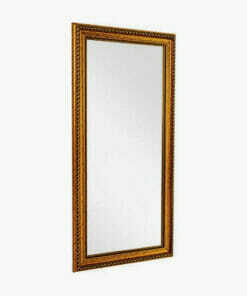 Stylish design, available in a 1 position or 2 position unit. 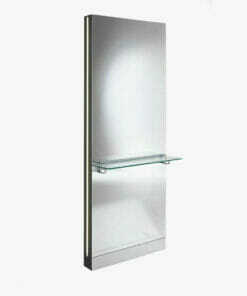 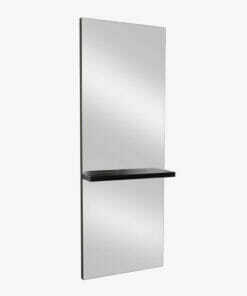 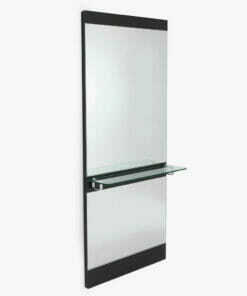 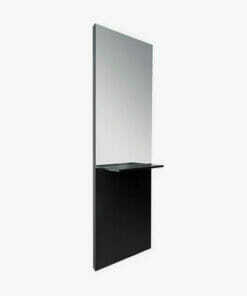 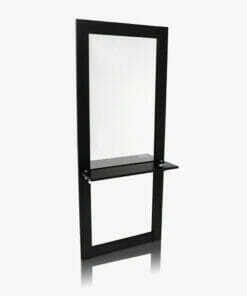 Floor length mirror unit with a toughened glass shelf and stylish LED lighting strips down each side. 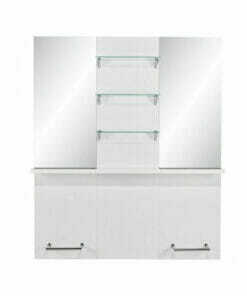 Dedicated styling units can offer individual storage facilities, a surface to keep your essentials readily to hand and perhaps most importantly, frame the face of your clients. 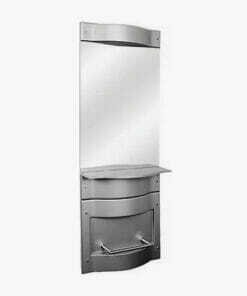 Choose styling units either to contrast with your other salon furniture or to compliment your interior with coordinated themes from all the major UK salon brands including REM, WBX, Alaya and Mila. 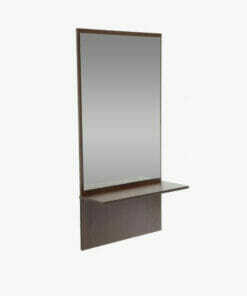 For any help with sizing or choosing mirrors to suit your salon, please call our team on 01270 630280 for help and advice.